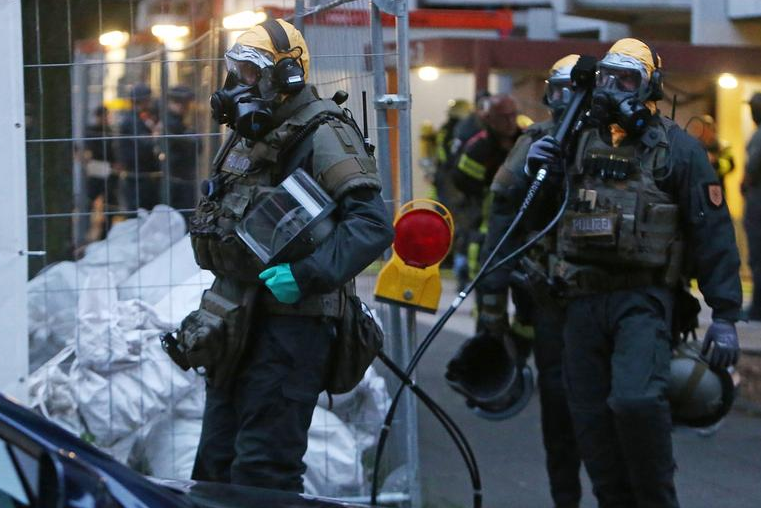 As we’ve informed you, a Tunisian couple was arrested in the German city of Cologne yesterday after police explained there were ‘toxic substances’ found in their apartment. Today, the prosecutor’s office released more details. The couple has now been charged with making a ‘biological weapon’ which the man wanted to detonate in the city. The man, named Sief Allah H. (the woman remains completely anonymous as per German law) has been in police custody for two days now on suspicion of violating the War Weapons Control Act and "preparing a serious act of violence against the state." The chemical unit of the fire department declared they had found ricin during a raid of his home late on Tuesday this week. Thanks to a tip from the CIA, German authorities had known about the man shortly after his arrival in November 2016 when he came to Germany from Tunisia during the great European asylum crisis. Three weeks ago, security services grew very suspicious after Mr H. had ordered 1,000 castor seeds, the main ingredient for producing ricin poison, as well as a coffee grinder from an online store. He was able to successfully produce the toxic poison as from the beginning of June. Ricin, a highly toxic substance 6,000 times more powerful than cyanide causes organ failure and death can occur within 36 to 48 hours. There is no known antidote and the German Robert Koch Institute categorizes it as a "potential biological weapon." According to German weekly magazine Der Spiegel, Mr H. had followed online IS instructions for building a ricin bomb, though they did not specify where he saw the videos. when are europeans going to WAKE THE Füçk UP and kick these muslim filth OUT.